Released: September 2002. Genre: Survival Horror. Other versions: XBOX; PC; GBA; GBC. Perhaps one of the most influential sci-fi films ever created, John Carpenter’s The Thing remains a scary, tense cult classic which helped pave the way for future sci-fi films. Strange then that, aside from a prequel which sucked, no sequel has emerged in film form. But fans did get treated to a video game sequel with the 2002 video game version. Aiming to instil fear through a innovative trust system as well as old-school survival horror traits, The Thing works really well, especially considering how often licensed games end up mediocre. The Thing takes places three years after the destructive events of the film. 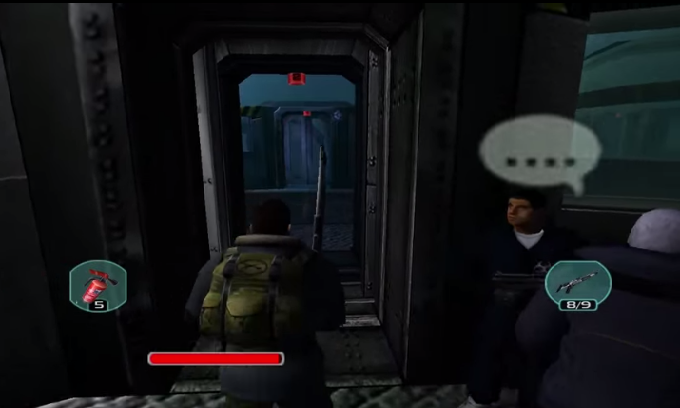 You play as Captain Blake, a stone-faced soldier who is sent in with a team to investigate the base of the film. Things quickly go sour, as the hideous creatures of this franchise appear and people are quickly killed. Deep into the base, Blake must make his way into the heart of this facility and stop this infection from spreading to the outside world. Though it will be somewhat familiar to fans of the film, the story of this edition stands apart from its film predecessor, with nice little references that’ll please fans of the 1982 classic. It feels true to the film, and it perfectly replicates the atmosphere which put viewers on edge 20 years previously. "I KNEW we should have used some Mr. Muscle on those drains..."
A survival horror game in the truest sense, you make your way through different areas of the base by completing puzzles and combating any enemies along the way. Controlling Blake can take some getting used to, feeling sluggish like tank controls but freer in movement speed. There’s still some intensity created from the limited movement. Shooting works really well however, with an excellent lock-on system and aiming available through a smooth first-person view. Some sections will shake things up with a challenging boss fight, which requires reflexes, excellent resource management and some luck, in a couple of cases, as while ammo is certainly plentiful, med packs can be very sparse, making survival tough at the worst of times. And unless you make multiple saves, you may often find yourself trapped in an insurmountable situation, reeking of old-school horror games. It’s the squad features of The Thing that really stand out. Squad mates are constantly picked up along the way as, more often than not, the last group you met are dead. Each fall into three classes: medics, engineers and soldiers. Medics can always heal you, soldiers have more skill with weapons and engineers can fix certain panels. Each can be directed using a simple, intuitive squad menu. Blake, meanwhile, falls into all three as a jack of all trades but master of none. At the heart of this is the Trust system, shown from red to green. Actions will improve and decrease trust, and losing too much trust will cause NPCs to assume you’re infected and open fire. On the other side, squad mates can become infected and turn into the iconic monsters of the film. 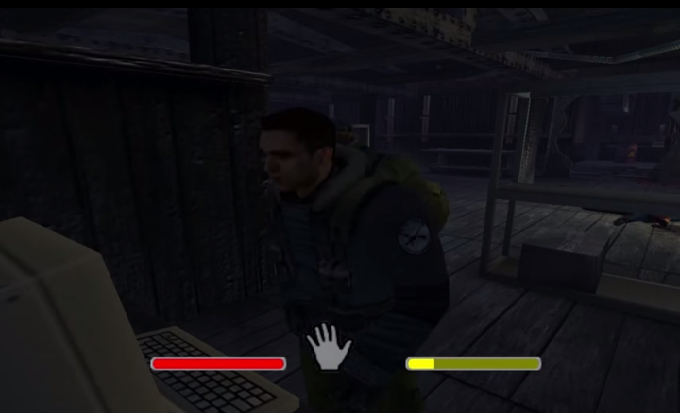 The trust system fits nicely into the universe of the film, though it can feel a touch scripted, as NPCs can be tested clear but end up turning anyway seconds later. And the squad mechanics, considering the time, work great. Divided into 19 levels, each can take around ten minutes depending on their difficulty, and overall, you’ll probably finish the game off in about seven to ten hours. 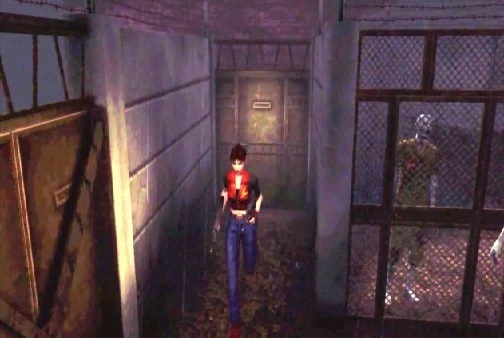 Once you figure out the scripted nature of mutating allies, there’s sadly not a lot of incentive to return, other than to experience the chills again, and the lack of a ranking system a la Resident Evil is also disappointing. That being said, the sheer challenge presented could keep you from finishing quickly, especially when coupled with difficulties which limit your auto-aim sight. Williams? Wouldn't trust him! Shifty eyes, etc. The Thing mixes visual highs and lows. The environments do a decent job of capturing the look of the movie, as snowy outside areas mix with desolate, often gory interiors. They can become a touch repetitive at times, though. Likewise, characters often animate smoothly during cutscenes yet often resemble blocky action figures. That being said, the monsters look accurate to the movie, and sound spot on too. In fact, the audio is great. The lack of music fits the atmosphere perfectly, often creating dread from silence. The dialogue, though acted somewhat inconsistently, fits into the universe. The screeches of the monsters, particularly during moments of zero music, are terrifying. The presentation does a great job of replicating the movie, and it makes for a faithful experience. In fact, The Thing stands out as one of the more faithful movie-to-game interpretations. 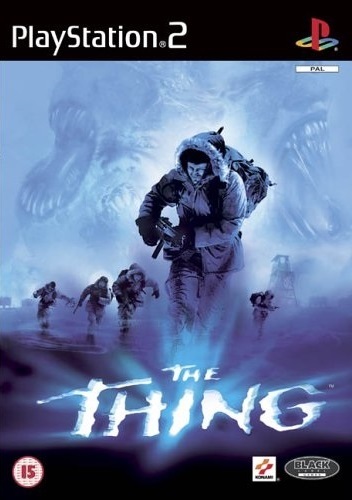 It’s a decent survival horror game at its core, despite some control and scripting issues, but it’s an even better product of The Thing franchise. It’s a shame that the planned sequel was cancelled, as some expansion on the core concepts could have made another game killer. As it stands, fans of the film will love The Thing, while other players will find it a brisk, tough and solid survival horror game with some fairly innovative squad mechanics for its time.